Workshops and experiments in puppet making around the world and in the studio exploring age old techniques and some improvised techniques of my own. Burly Man. Puppet Project: Fairbanks, Alaska. 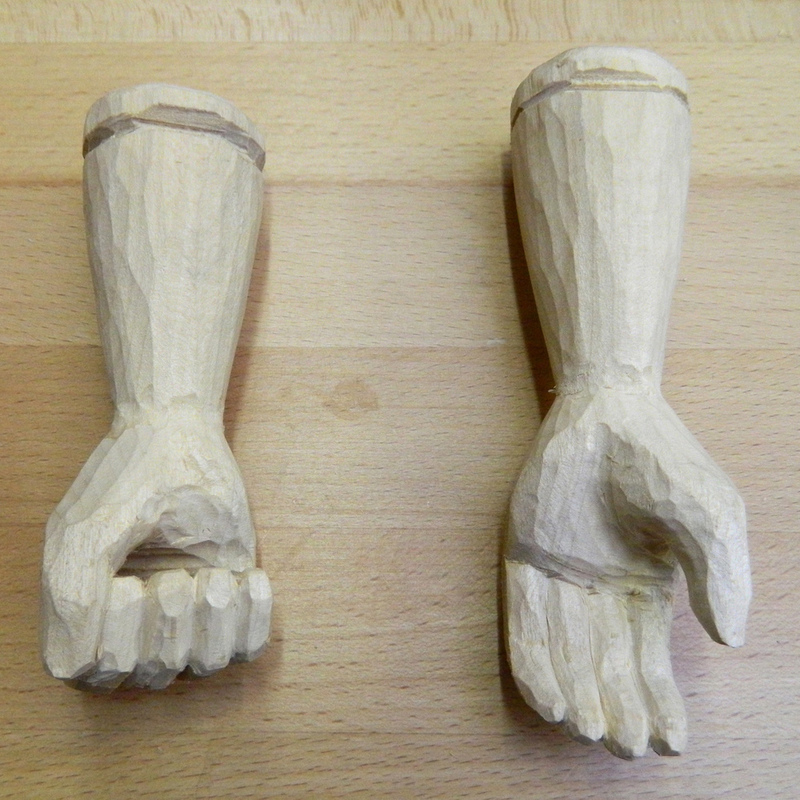 The Burly Man is constructed entirely out of spruce burls down to his little Adam's apple. 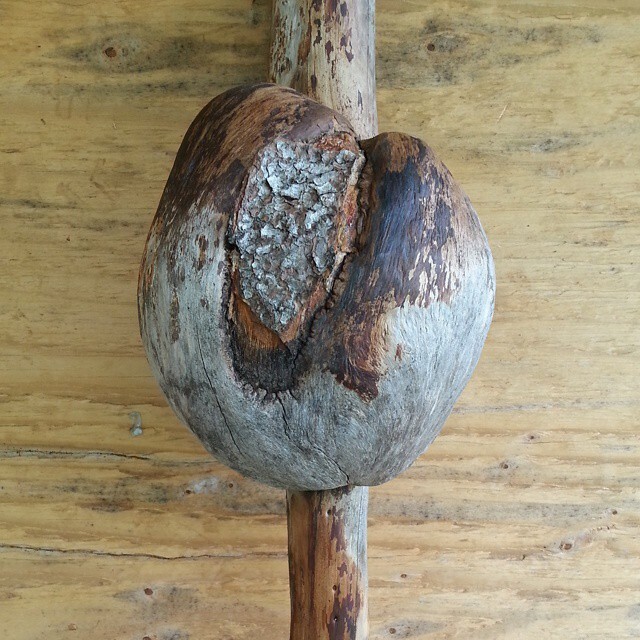 A Burl is a tree growth in which the grain has grown in a deformed manner forming a rounded outgrowth on a tree trunk or branch that is filled with small knots from dormant buds. 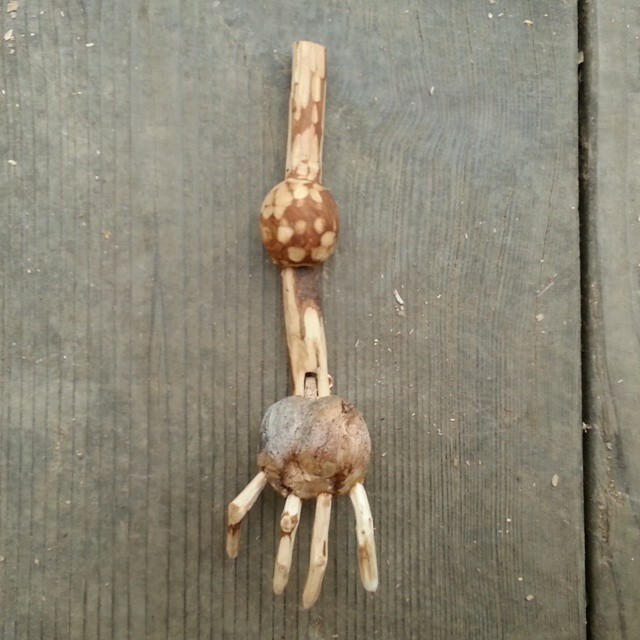 During the course of a summer spent in Alaska I collected many burls and imagined making a puppet character using the burls as his knobby knees and elbows. With some help from the Folk School of Fairbanks wood shop, the great John Manthei, and some hand tools and elbow grease the Burly Man was born! 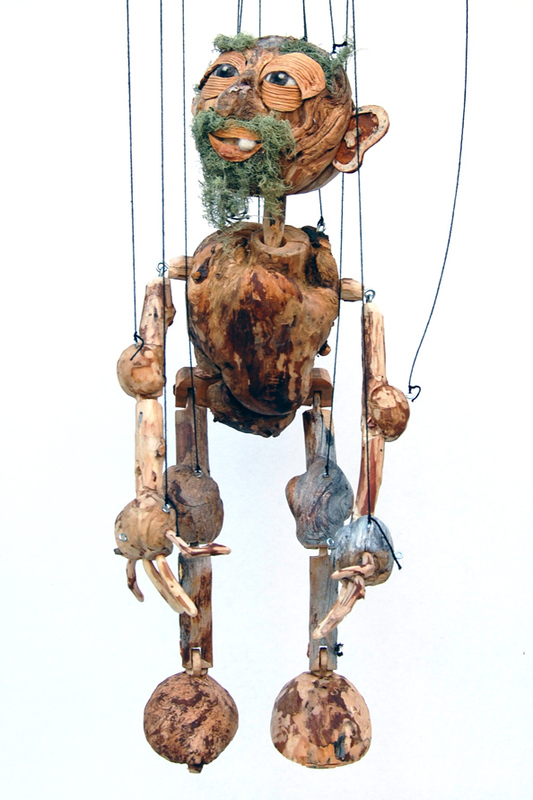 His eyelids and lips are made of birch bark, his eyebrows and beard are local lichen and his eyes and tooth are felted. He is know to sing and dance about his livelihood. Hazelbeth the Stitch Witch. Puppet Project: Prague, Czech Republic. 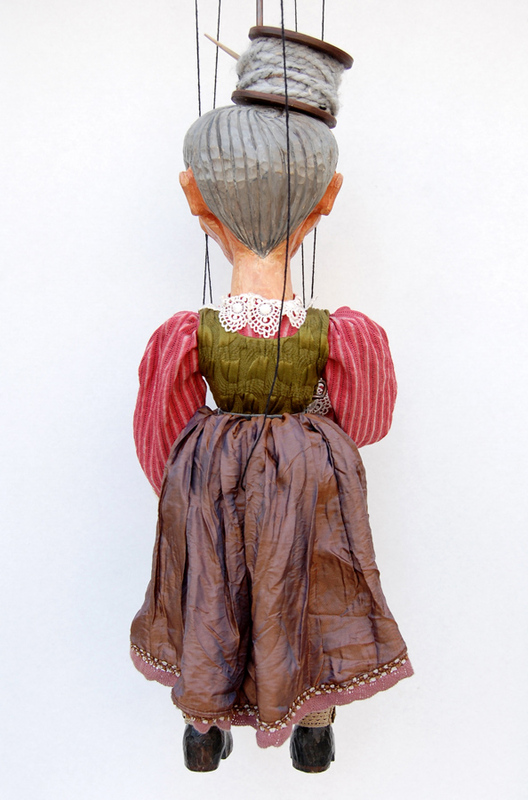 Hazelbeth is a traditional Czech Marionette that I made during a workshop with Teatrotoc Theater and the Puppets in Prague Program. The program was phenomenal! 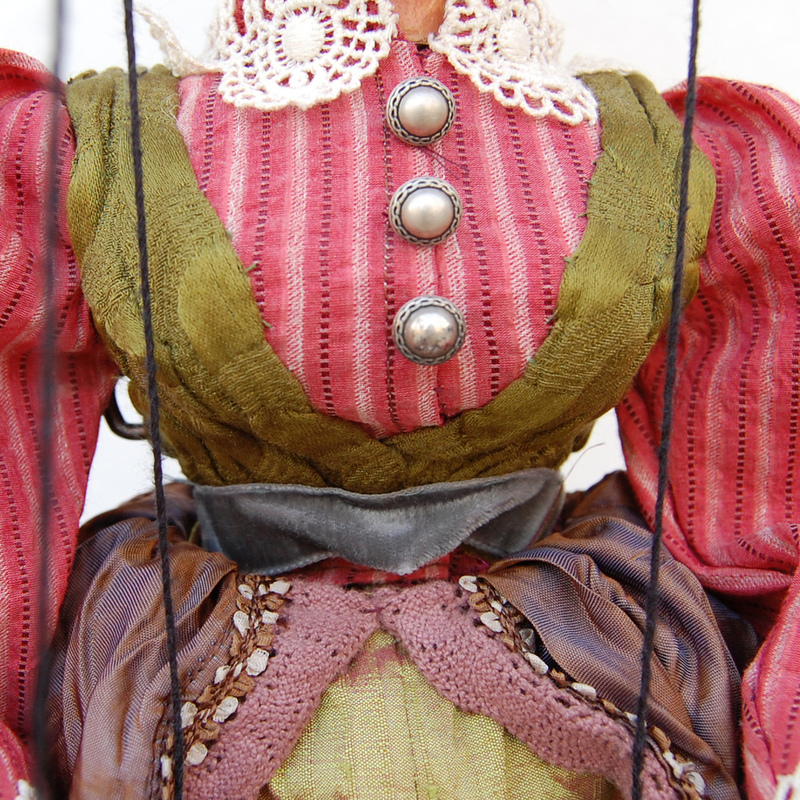 I learned how to carve, assemble, string, paint, costume, and manipulate a traditional Czech puppet. I also learned an immense amount about the history of European puppetry and was able to see a plethora of amazing puppet and circus related shows at the annual Letni Letna Theater Festival! Hazelbeth is a Stitch Witch who's purpose is to fix things both tangible and intangible by sewing them back together with magic thread. She has been known to mend spider webs, broken hearts, and is ever diligently working on patching the ozone layer. 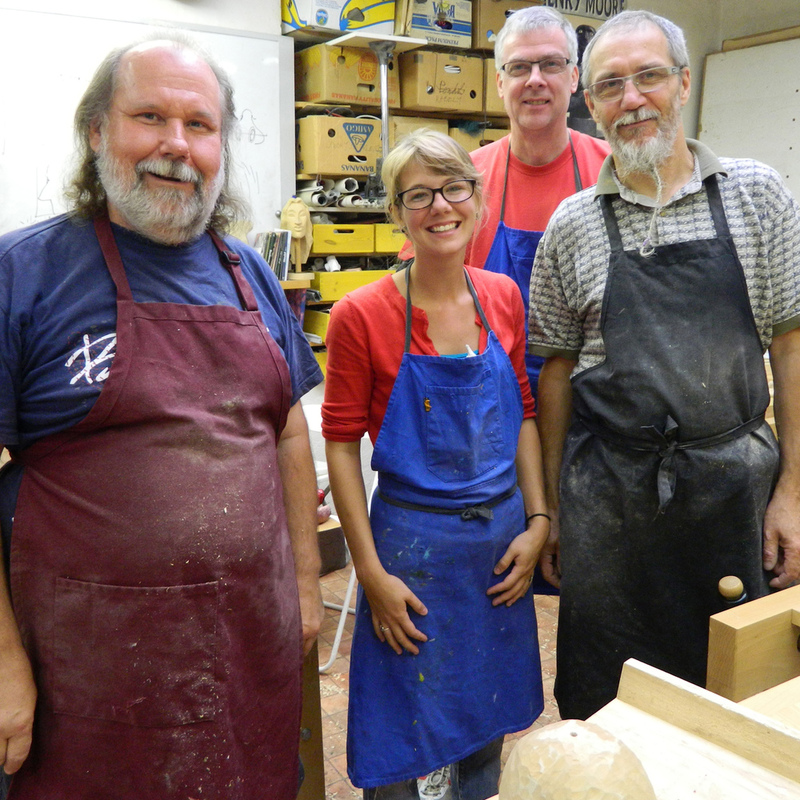 Above are some in-process photos including one of me with my carving teachers Vaclav Krcal & Zdar Sorm. Jayadratha. Puppet Project: Sukawati, Indonesia. Jayadratha, the king of the Sindhu Kingdom, is one of many traditional characters in the Hindu epic of the Mahabharata. This epic is told in Indonesia using Wayang Kulit puppets. Wayang literally means "puppet" and Kulit means "skin." The puppets are cut out of thin animal hyde and each Dalang or traditional Indonesian Puppeteer makes their own set of puppets to use during traditional ceremonies and performances. While studying abroad I had the opportunity to make a traditional puppet with a very famous Dalang by the name of Pak Nharta in the village of Sukawati on the island of Bali. 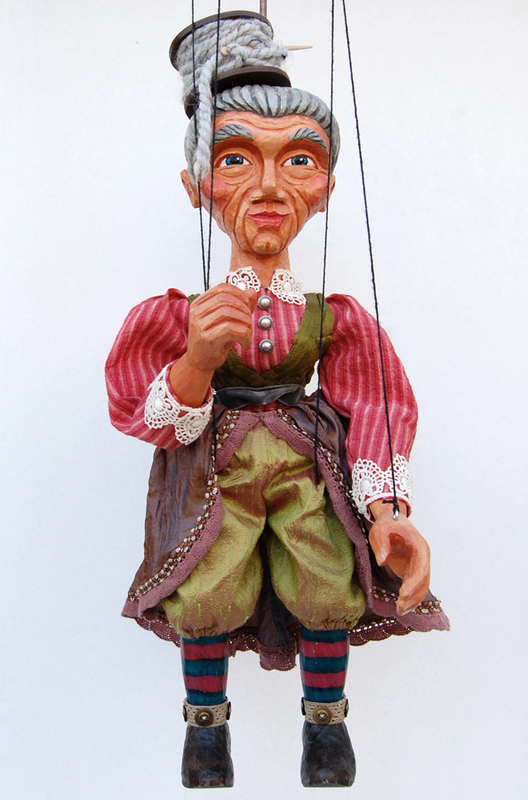 He is a seventh generation puppeteer and his son and grandson are also puppeteers. He spoke no english and I spoke very little Balinese, but through visual instruction, some charades, and thumbs up I was able to complete my puppet. Afterwards he invited me to see his son perform at a local wedding. The last two photos show his son back stage and the shadow of a very ornate Yudhisthira puppet.